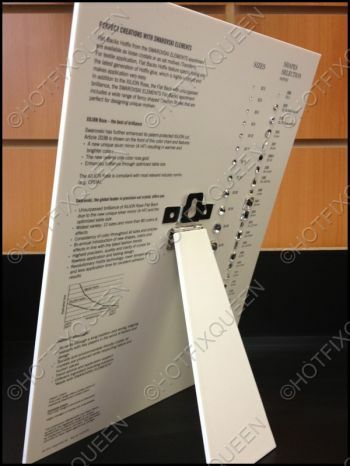 SWAROVSKI Elements - Flatback/Hotfix PLASTIC Color Chart Discounts Apply ! 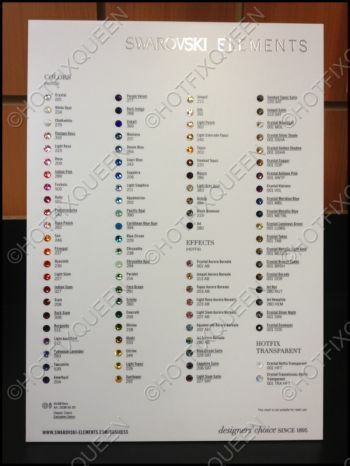 Features 88 colors on the front of the card in ss20. 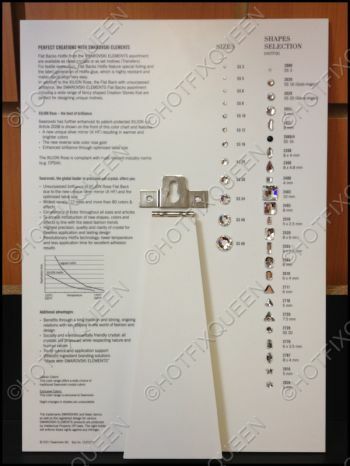 The back of the card features the Stone Size Chart with actual crystals in sizes ss3, ss5, ss6, ss8, ss10, ss12, ss16, ss20, ss30, ss34, ss40 & ss48 ALONG with the Collection of 24 Shaped Stones in Crystal!